Even the power brokers have to fight for a table at Rao's; at least you can take home some of the world-famous sauce. : The place only has about ten tables, which are spoken for every night by people who have had them for decades. 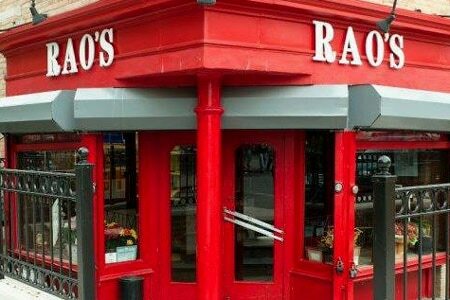 There simply is no way to get a table at Rao's other than to be asked by a regular. You can, however, stand at the bar. The restaurant started in 1896 when Charles Rao bought a saloon on the corner of 114th Street at a time when East Harlem was heavily Italian. The waitstaff is young and fleet-footed; the walls are plastered with hundreds of celebrity photos. A variety of about 20 red and white wines --- with high markups --- are served cold with the cork out. 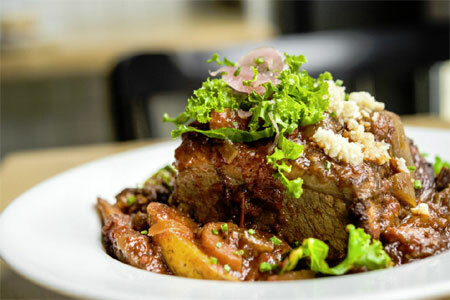 The food comes in enormous portions and is served family-style. A cold seafood salad has a hint of iodine; linguine alla filetto di pomodoro is overcooked. Better to start with mozzarella in carozza (fried cheese sandwiches) with one of Rao's tomato sauces, or roasted peppers. The famous lemon chicken is quite delicious, nicely cooked and juicy, with a real tanginess to it. For dessert, linger over a slice of cheesecake. The table is yours for the night, so you won't be rushed out, even if a regular shows up.